← Excellent blog for Ultralight DX aficionados! 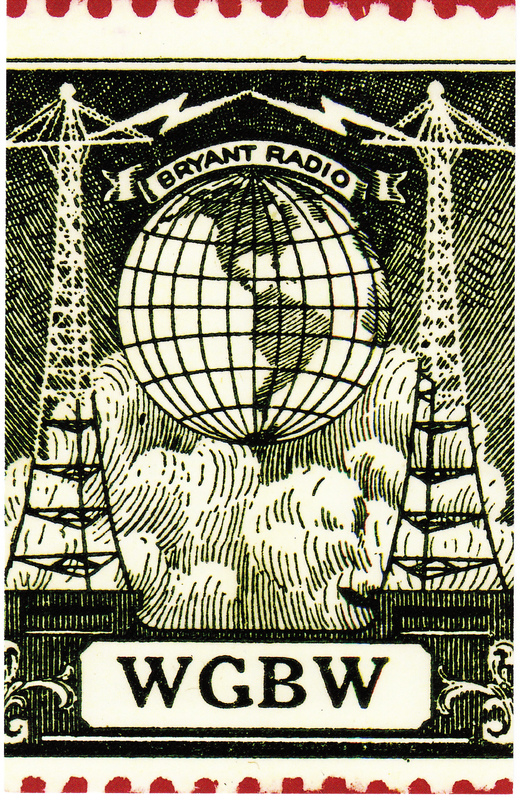 I Recently received a QSL via e-mail from Mark Heller, the owner of WGBW in Denmark, Wisconsin. 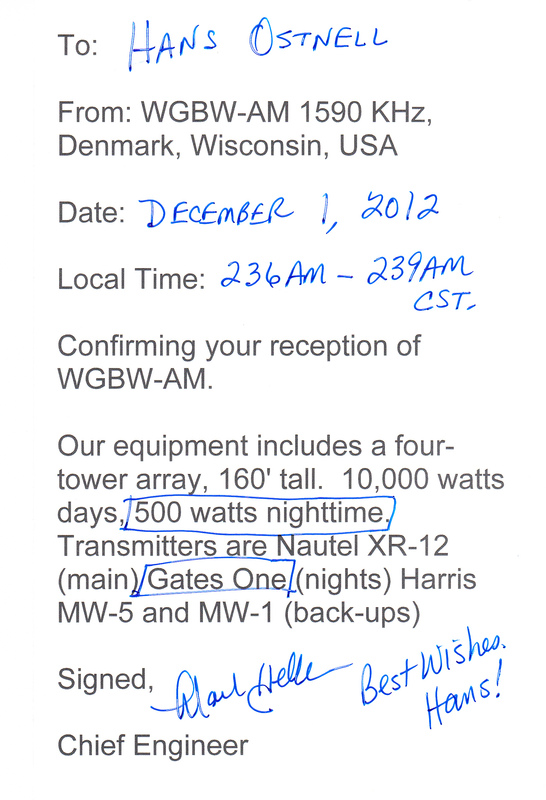 I heard WGBW during my AIH-22 expedition in 2012, but didn’t have time to send any reports until December 2013. Mark told me that the announcer voicing the ID that I captured and sent to the station, Scott Shannon, left WGBH and started a new job on WCBS-FM in the beginning of March this year. Anyhow, it seems that I managed to ID WGBW when the station was using it’s nighttime power of 500 Watts, which makes this a pretty good logging! A week or two after receiving Mark’s nice e-mail, I also received a very nice QSL-card in the mailbox, together with some coverage maps and other station memorablia. It’s always fun to receive nice answers from the stations, and this was a good example of that. If you like to hear an audio-clip of the WGBW ID, it’s found here. The past month I have received some nice QSL’s from stations in North America and Asia, and they will all be presented here. I’m now also finished with the final version of the AIH-22 log. The complete log will be published here within a day or two, just need to deal with a couple of “cosmetic issues” of the document. All in all, more than 200 reception reports has been sent after the AIH-22 expedition, and so far I the answer rate is around 40%, which actually is pretty good. Another fun project that I have started, is the restoring of a couple of classic portables, such as the Zenith Transoceanic A600, 1000, 3000 and 7000, two old Grundig Satellite’s, a Panasonic RF-2200 and a Sony ICF-5900W. There will be more about this in the blog during the spring and early summer. And… besides everything else, Ultralight DXing has taken a bit of my time. In the beginning of the winter I modified a small Tecsun PL-380, transplanting a new and BIGGER ferrite rod into it. Results was a success! More about that later. Posted on 6. April 2014, in DX, QSL, Receivers, Stations. Bookmark the permalink. Leave a comment.